CWI, CWI. (2015). 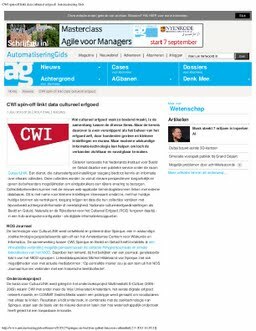 CWI spin-off linkt data cultureel erfgoed - Automatisering Gids.